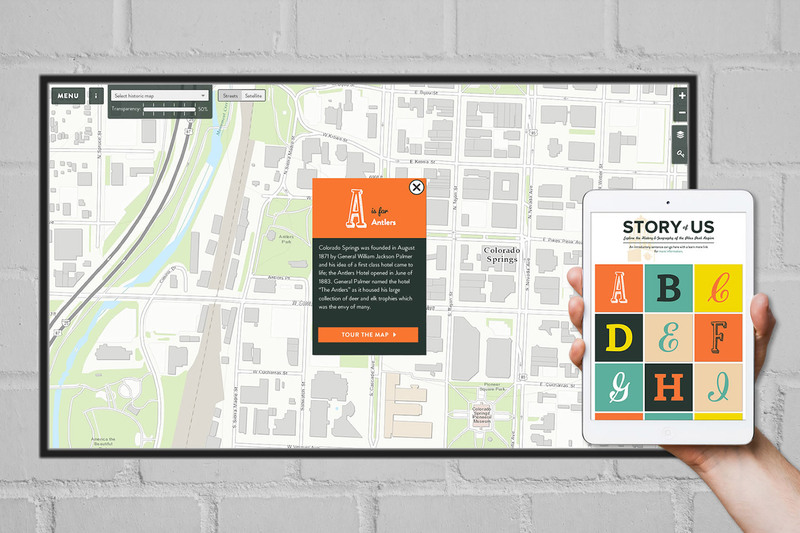 Tierra Plan developed a unique interactive mapping platform called the Story of Us (SoU) for the Colorado Springs Pioneers Museum. SoU is an interactive exhibit at the museum that brings past landscapes alive and makes the connections that tell the story of the shaping of the city. The interface is deployed on multiple large touch enabled displays throughout the museum, and is available online as a web based virtual exhibit that anyone can access. We built this application to work on devices ranging from large public displays, personal computers, and mobile devices. This required creative design and careful development to make map interfaces that honor both touch and mouse events. 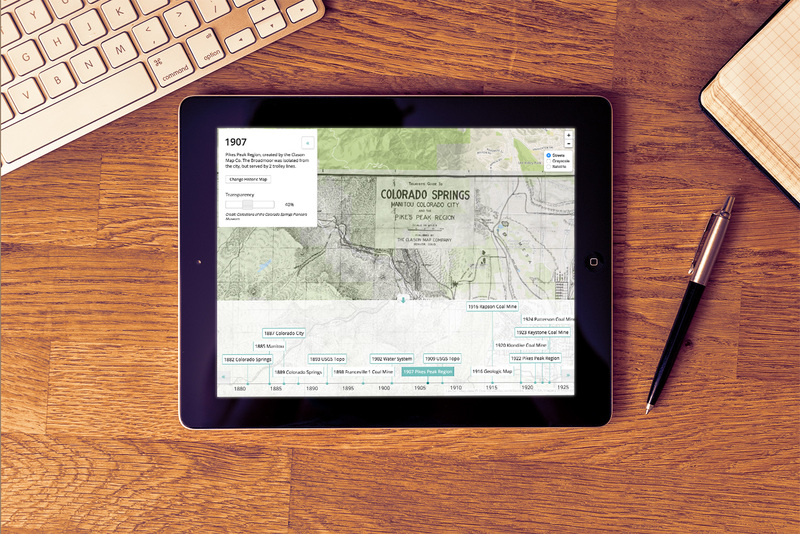 We also created a fun web-enabled historic map collection called Digital Deep Map. 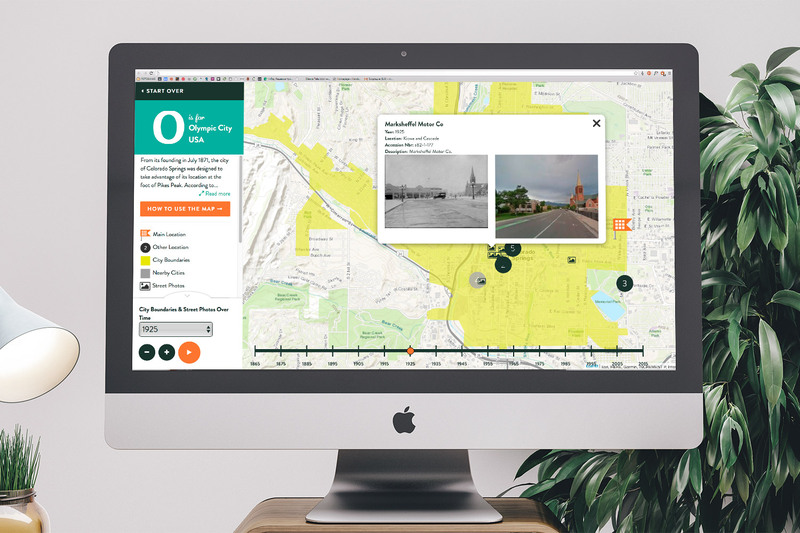 Twenty-five historic maps and aerial imagery were scanned, georectified, and tiled – then integrated into a database and a responsive web interface so users can explore the maps using a timeline control.